Inspire those who love the great outdoors and advertise with the Mountaineering Poster. 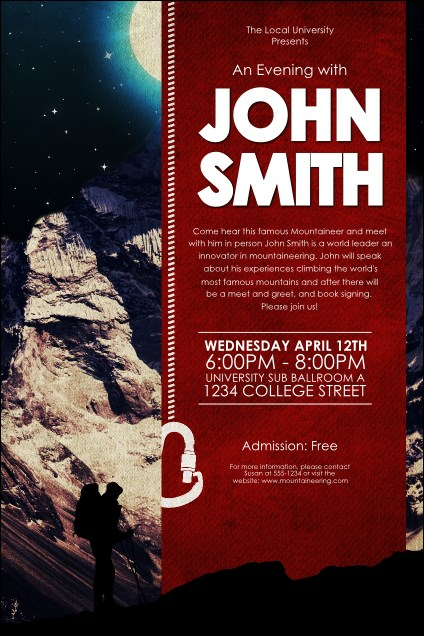 This adventurous design features a great mountain ready to climb, with event details listed in a red background on the side. Use this template for climbing clinics, extreme films, or outdoor program fundraisers. Approach your promotions with the right design from TicketPrinting.com.